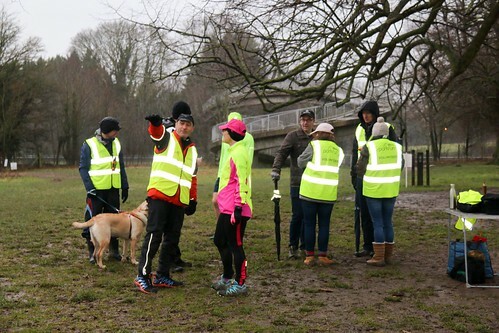 Surprisingly for something that happens at 9am every weekend across the country, it rarely rains on parkrunday and so thankfully days like last week are pretty rare, which means even less of an excuse not to volunteer yourself! 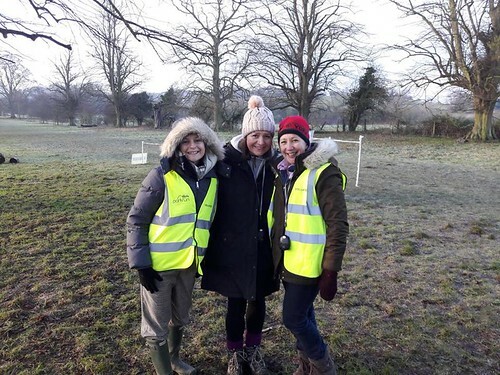 We are always on the lookout for new volunteers, so if you think you could help with any of our roles on a Saturday morning, just drop us an e-mail at tringoffice@parkrun.com. 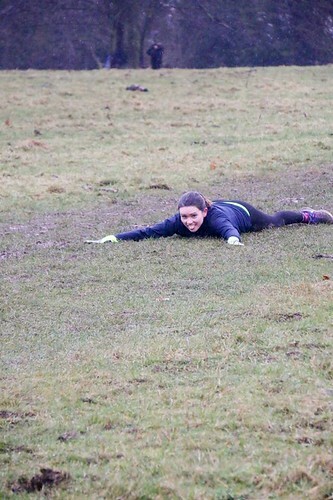 Lucy almost won the award but our football referee felt that this was a dive! With that done and done we can look to the run itself. 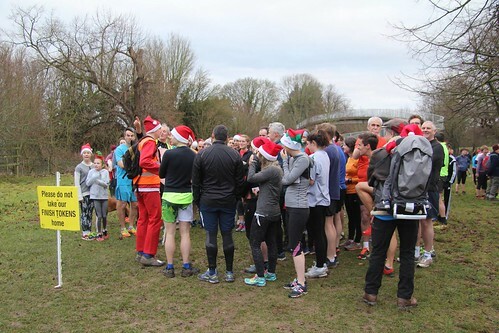 I suspect the weather may have played a role in our lowest attendance since the beginning of November last year, with only 163 runners joining us for a jolly jaunt through the fields. 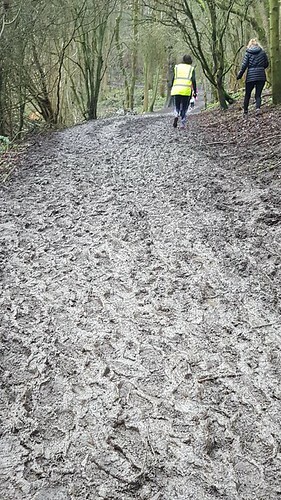 Regrettably I was unable to experience the conditions myself but I have been told it was reasonably muddy out there which probably accounts for the fact that our first finisher this week, Matthew Cottiss, came through in just over twenty minutes (our current record is held by Phil Norman who completed the course in a blistering 16:37 last November). 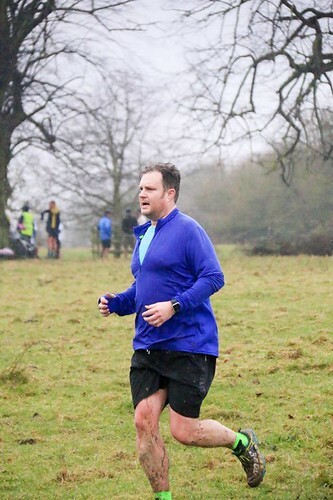 Following behind Matthew was first-timer Luke Kretschmer who finished in 21:44 and Paul Myatt (this week’s second run-iest runner) who completed the course in 22:04. 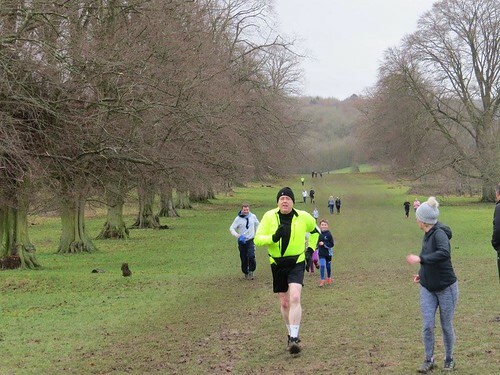 Our most ‘run-iest’ runner this week came in the form of Ros Cranston who completed her 297th parkrun in total, with 218 of those at Finsbury parkrun and 37 here at Tring. At the other end of the spectrum we welcomed 21 first timers to the course, of which 12 were completing their very first parkrun. You certainly picked a good day to start as from now on it can surely only get easier… surely? Chrissie Howard, one of our first timers from Billericay Striders RC was the first female across the line in 24:48, followed by Karen Foxwell-Moss in 26:00 and Martina Tredgett in 26:23. 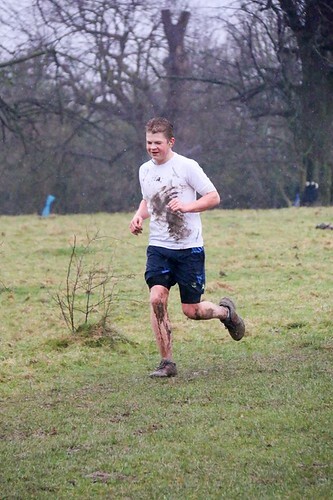 Now for some interesting (not guaranteed) statistics about our Junior runners this week. 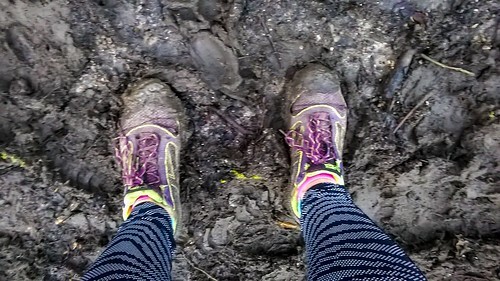 For the first time in nearly two years we had less than ten Junior boys completing the course – they were well and truly shown up by the 19 Junior girls who aren’t afraid of a bit (a lot) of mud! This is the first time that we’ve had double the number of Junior girls than boys. Well done everyone! 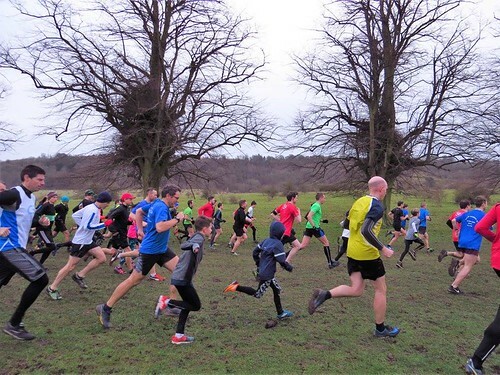 Somehow, in spite of the conditions, 7 of you were able to set new PBs this week and because I consider that to be quite the achievement, here’s a name check for you: Ian Davis, Joshua Whitton, Adam Woodhams, Huw Jones, Adrian Kelly, Kay Ison and Ben Patterson – a jolly well done to you! 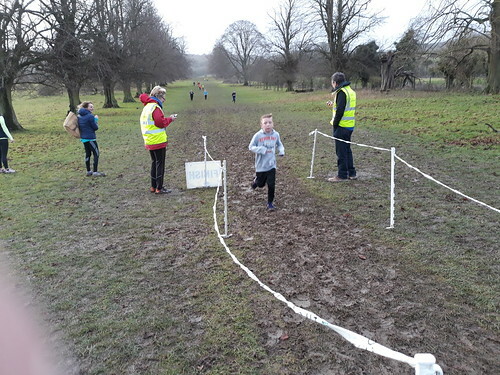 Joshua and Adam must particularly like the mud as this was their second PB in a row, whilst Ben was able to smash the PB he set back in April by 2 seconds. Good work people! As ever there were a few celebrations for our runners this week, including Julie Relph and Magnus Allan who completed their 50th run on Saturday. 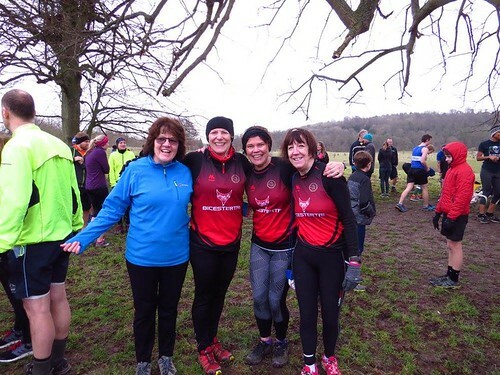 Meanwhile, some 250 miles away on the North Sea coast regular Tring parkrunner Pauline Brown completed her 100th parkrun whilst at South Shields in Newcastle. 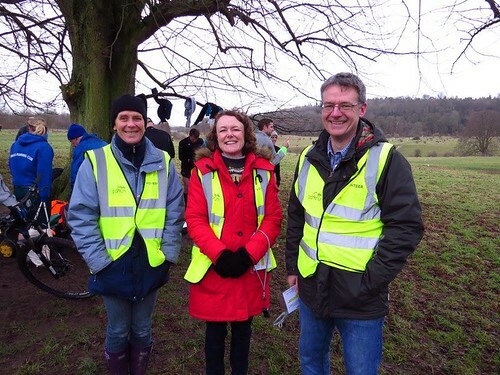 This is one I’m really pleased to announce because I remember Pauline completing her very first parkrun on the same day as I did my first stint as Run Director. It just goes to show that, especially on those miserable days, ticking off another ‘one for the shirt’ pays off! Rain? Pah! Well done Julie on running your 50th! •	Not a single ‘Helen’ ran at Tring this weekend for the first time since February 2017! •	We saw the 200th sighting of a runner called ‘Robert’ and the 100th for a ‘Katrina’, whilst ‘Walker’ has now crept up to 50 appearances! 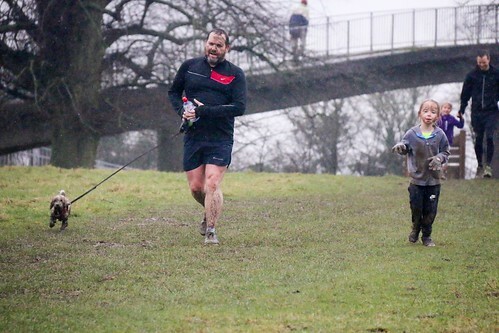 •	Dan Stoor has become the 21st person to run 100 times at Tring! •	For the first time ever we had two runners, yes two, from RAF AC with us! How about that for worthy use of exclamation marks? 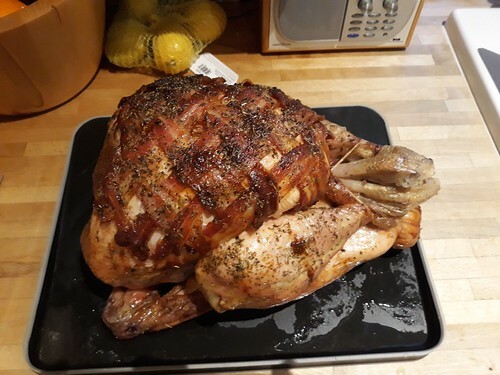 And finally… having had a good trawl through the results this week I can reveal the winner of our prized ‘aesthetically pleasing time of the week’ award. 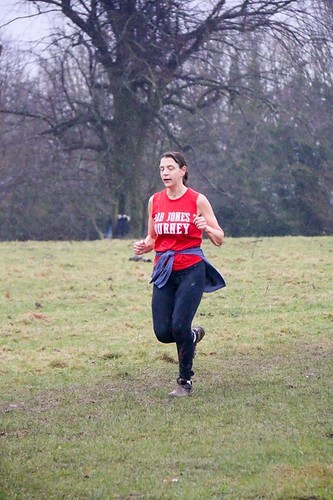 Former Run Director Jenny Gribbin should have known better than to run two seconds too slow as otherwise she’d have completed the run in a most excellent 34:56. 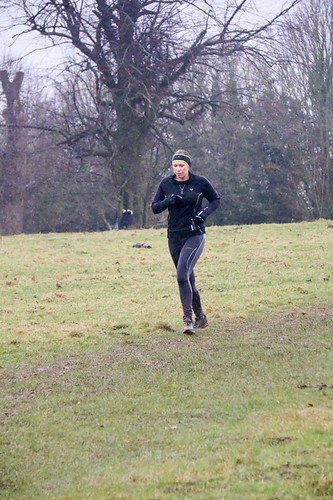 As it is I am pleased to name Tring regular Kath Pither as this week’s recipient for her superbly timed 33:33. 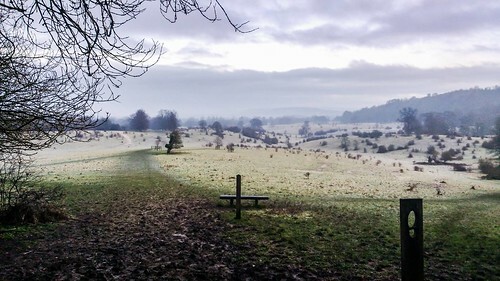 Time to bid farewell for another week and to wish you all a dry and pleasant run on Saturday morning! They say Monday was Blue Monday – the most depressing day of the year. After Christmas. A long way from payday. Even further from a holiday. And the middle of winter. That may be the case. 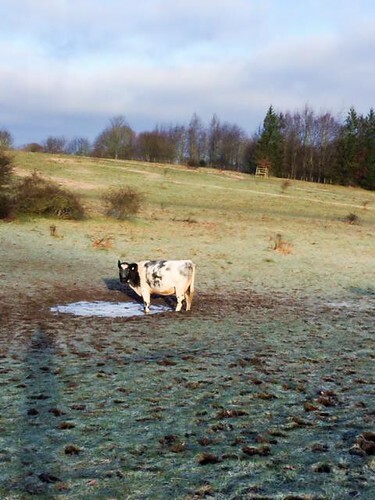 There’s no doubting it’s been cold, windy and wet out there. But look at this chart. We are on the up. 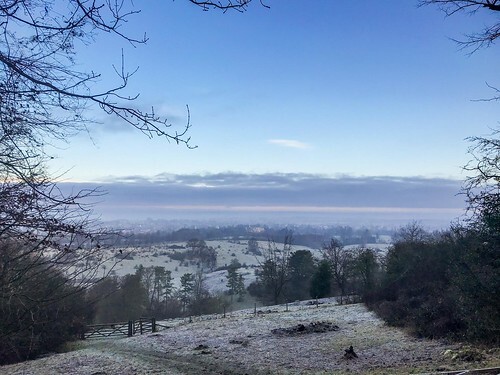 Tomorrow there will be more daylight in Tring than there has been since 18 November. 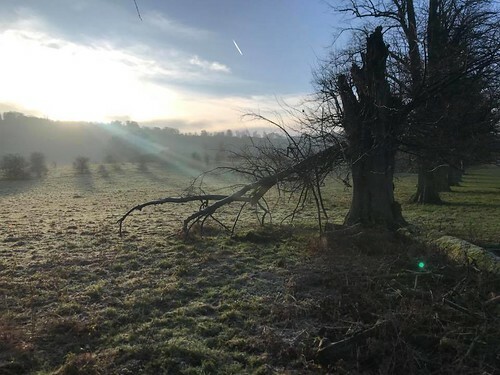 It’s still muddy on our glorious course – it will be for several months hence – but can you feel that Vitamin D coursing through your veins? It’s the beginning of the end of Winter. 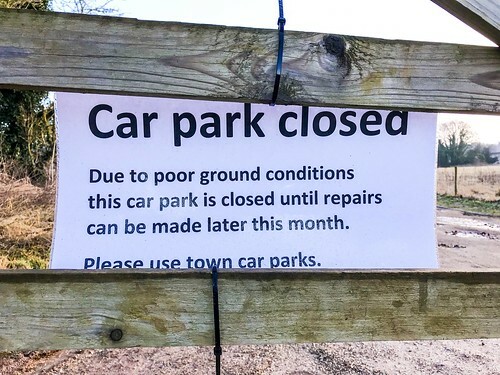 Thankfully, everyone’s been amazing and very co-operative with the parking on Hastoe Lane. Parking neatly and tidily on the right so there’s plenty of room for people to pass. And many more people walking up from the High Street. We’ve also been helped by some amazing volunteers. 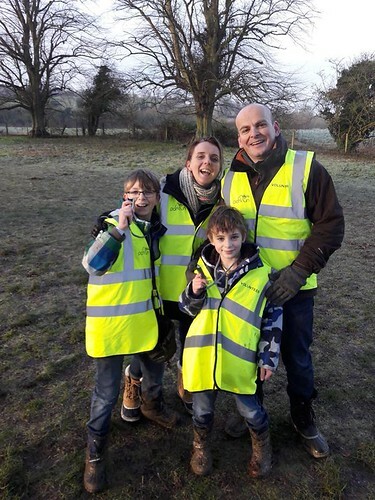 The Patterson family were helping with barcode scanning (while Ken and the two Andy’s were parking marshals down on Hastoe Lane). And Jo, Olivia and Judi were our finish line dream team. And the assistant run director had accumulated a very power stick. We were also helped by some incredible compliant and docile cows. It was a run for milestones. Tom Arnold got his white shirt for his tenth junior run; Alan Nettledon and Peter Le Blond got their 50th and Nicola Kaenzig journey all the way from faraway Aylesbury to bring up the ton. 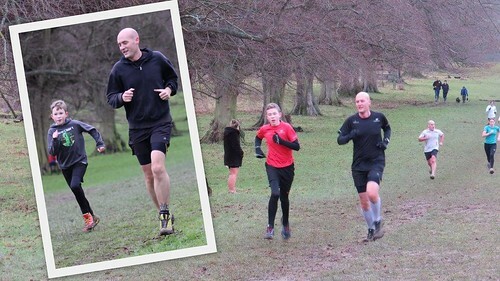 Tring parkrun #175 was also the first time we have seen 10 Richards and 4 Stephens. 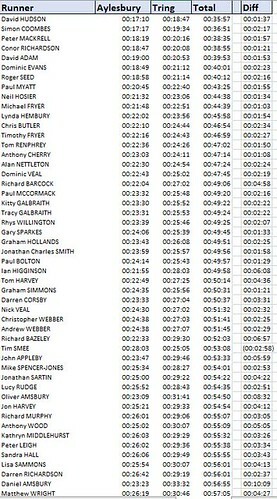 In fact in the last 3 parkruns we have seen an ascending sequence of 8-9-10 Richards – would it be 11 next time?? 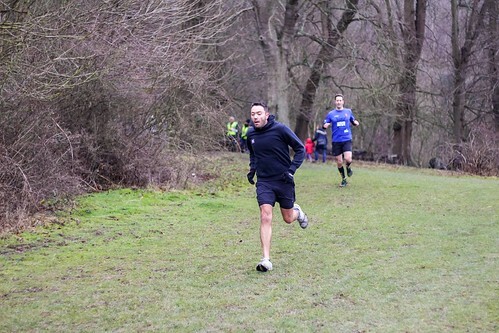 Richard becomes just the 2nd name to reach double digits in a run at a Tring parkrun, joining the name Paul. From those we’ve not seen before, to the people who can’t stop coming. Dom Evans becomes the 19th person to run 100 times at Tring; Paul Bayley finished 10th on his 10th and Nicki Kaenzig finished 100th on her 100th. Andrew, Gary and Andy were our celebrities for the week. But we also had someone who’s got a blue tick on twitter (which, for the non-millenials out there, like me, is some kind of mark fame!). Welcome George Rainsford of Casualty and Call the Midwife fame. Great to have you. What’s in a name? It was the 600th time we have seen the name Richard and 200th time for Kevin and 100th for Blazej. It was also the 50th time we have seen the surname Le Blond and 100th for Ziembaczewski… can you work it out? That means Blazej becomes the 20th person to run 100 times at Tring! Well done Blazej. Only new club was London Heathside. 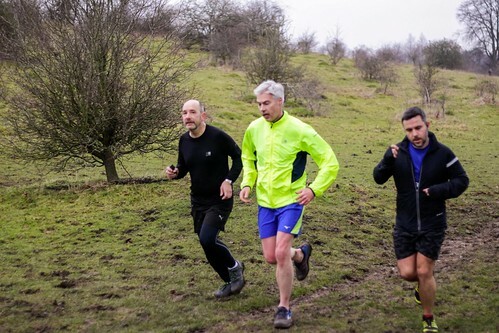 A very fine club that trains around the very fine North London streets of Finsbury Park (here is why I take RD’s privilege to give a beloved mention to our chums at Finsbury parkrun where I started parkrunning back in 2012). And now its late. 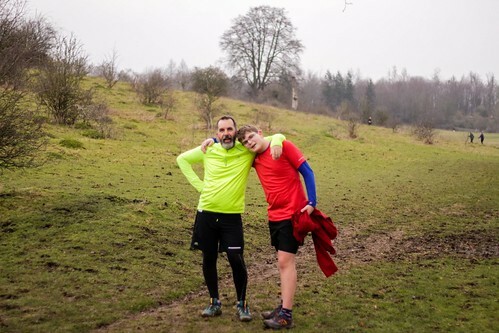 You may even be reading this after Tring parkrun #177. Sorry for it’s late arrival. 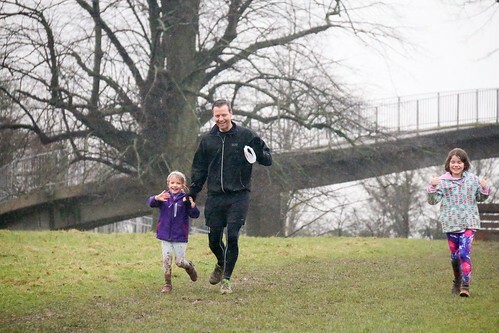 But, as ever, Tring parkrun is a great way to start the weekend and we couldn’t do it without you. 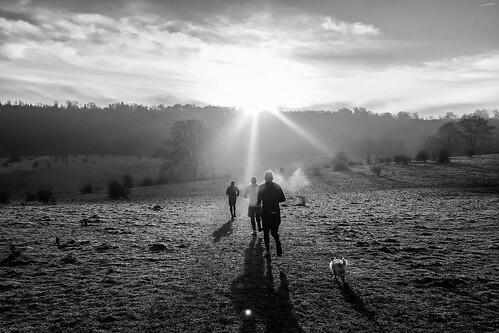 Remember: Spring will come, Winter will be beaten so keep putting on those trainers. Saturday 30th December dawned dank and cold after a very wet snowy and windy week. 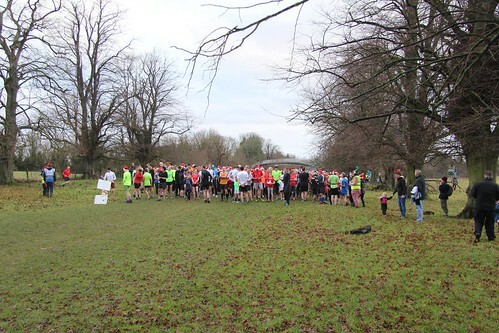 This meant that the now famous/infamous Tring parkrun course would be even more of a challenge than usual. 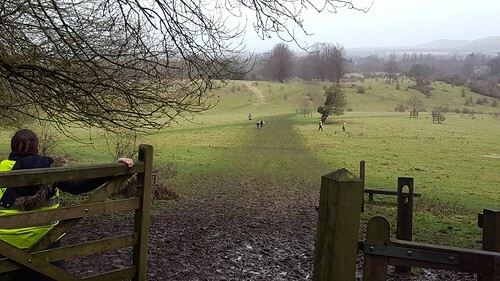 However that didn’t stop 231 enthusiasts from making the effort to drag themselves from their slumber to break up the ‘Chrimbo Limbo’ with a wet, muddy and very sticky 5km run around Tring Park. 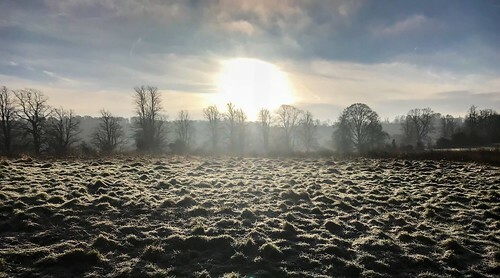 Perhaps it was the need to burn off some Turkey, get some fresh air or to kick start the new years health campaigns but we had 37 first timers and tourists attending. 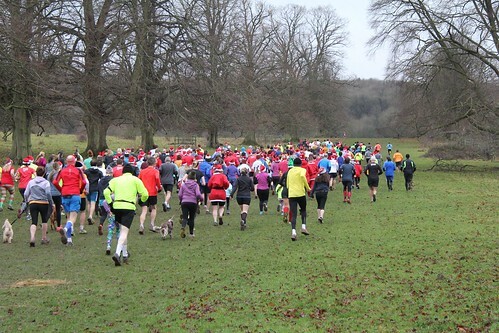 We hope you enjoyed the run and look forward to welcoming you back to get a Tring PB. A tail walker view of the first gate. 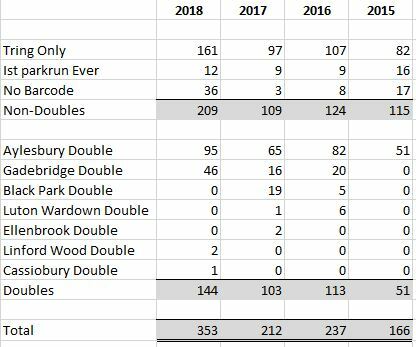 On the subject of PB’s we believe had a new Tring parkrun record with only one PB being recorded. Not sure if this was due to the condition of the course or the general over indulgence over the holiday period but congratulations to Anna Scarth visiting from New Zealand who achieved the only PB of the day. A massive thank you to all the volunteers who helped out with the usual enthusiasm and encouragement. This weeks volunteers were; Matt BEATTY, Lucy CLUTTON, Ann-Marie EVANS, Andy EVANS, James FOSKETT, Matthew FOSKETT, Michael FRYER, Graham HOLLANDS, Angela HOLLANDS, Clare MURPHY, Richard MURPHY, Hilary NEEDLEMAN, Chris NICHOLLS, Heather PAINTER, Ben PATTERSON, Maura PATTERSON, Helen PORTER, Janet REEVE, Matty SINFIELD, Naomi WAGER-LEIGH. Jan and Michael with their troublesome stop watches and a very slippery finish line! 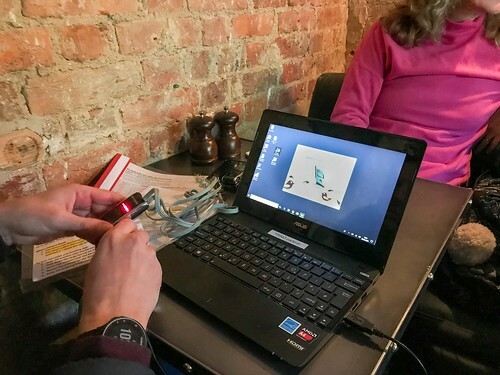 An extra special thank you to todays’ timers, Jan Reeve and Michael Fryer, who had to deal with some serious technical problems with the stop watches. We had to pull together and quickly come up with a plan B to ensure all the results were correctly captured. Many thanks for all the help! 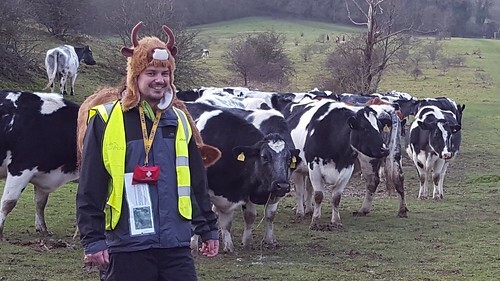 Also a special mention to Matty (Cow Whisperer) Sinfield, our volunteer of the year, who donned his new headwear! Matty and his new hat/disguise! First across the line this week for the Ladies was Claire Hallisey in 23.02 followed by Anna Scarth in 26:11 and a new PB and Anna Lambert with 26:51. 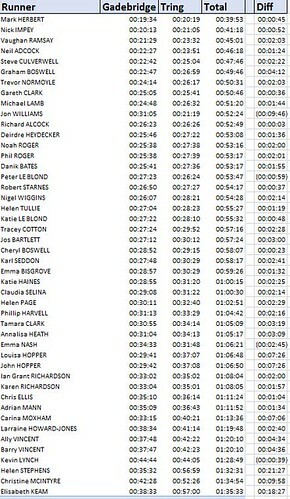 For the men Richard Francis was fastest with a time of 21:34 with Dom Evans second in 21:35 and James Edwards in 21:56. 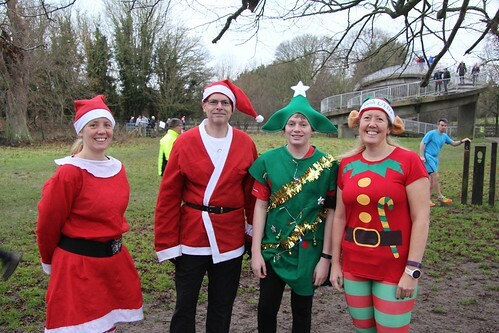 For news , photos, videos and updates don’t forget to visit our Facebook page at www.facebook.com/tringparkrun and you can now follow us on Twitter at www.twitter.com/tringparkrun. Thank you, see you on Saturday and a happy and prosperous new year. 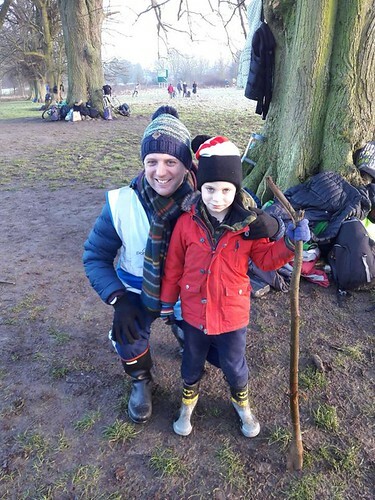 Tring parkrun # 172 – Christmas day!! 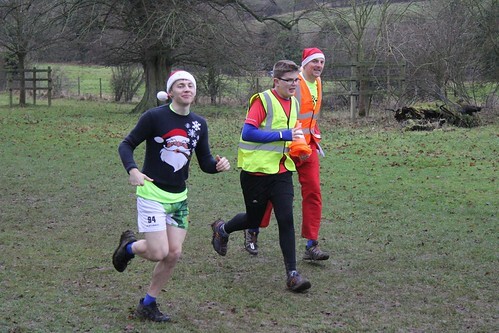 Well, what a start to Christmas Day, 287 very well dressed and colourful runners arrived in Tring Park bright and early for the Christmas Day parkrun, this included a massive 51 first time parkrunners and tourists! There was also an international feel with visitors from South Korea, New Zealand and many other countries and other parts of the UK who were visiting friends and family. A very busy new runners briefing. A quick thank you for your patience at the start, we hadn’t anticipated the numbers arriving and the parking issues that they would cause so the run start was delayed by a few minutes to let the stragglers get to the start line. Patiently waiting for the off! Despite the wet and muddy conditions we also had a staggering 20 PB’s. 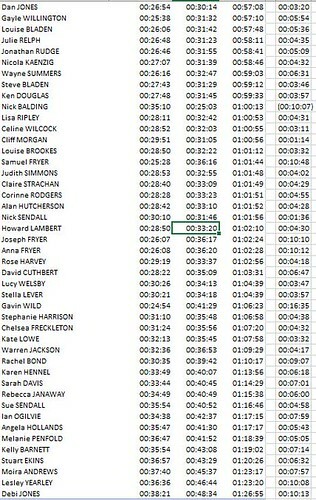 Well done to everyone who got a PB. A massive thank you to all the volunteers who put off present opening to help out on the morning, there was an amazing atmosphere amongst all those helping out and I really do think we made a lot of peoples Christmas Day that little bit more special. So a huge thanks to Robin ATTFIELD, Steve BLADEN, Clive COHEN, Andy COLLINGS, Elizabeth DANIEL, Adam DANIEL, Philip DAVIES, Philip DAVIES, Sam EVANS, Graham HOLLANDS, Richard MURPHY, Clare MURPHY, Chris NICHOLLS, Carol NICHOLLS, Tom NORTH, Lesley O'KEEFFE, Matty SINFIELD, Mike WILKINSON, Hannah WOOD. First across the line this week for the Ladies was Claire Hallisey in 21:25 followed by Natalie Ruffell in 21.44 with Sarah Grover with a time of 22.24 and a new PB. For the men first timer Fabian Downs was fastest with a time of 18:01 with Alex McVey next in 19.27 followed by Alan Scott in 19:28. 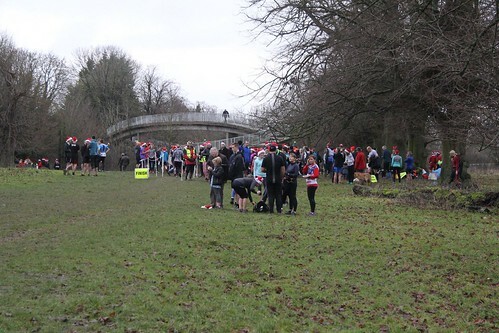 Thank you all again for taking part in the Christmas day parkrun, it really was an amazing occasion and a pleasure to be part of. Post run view of the finish line.